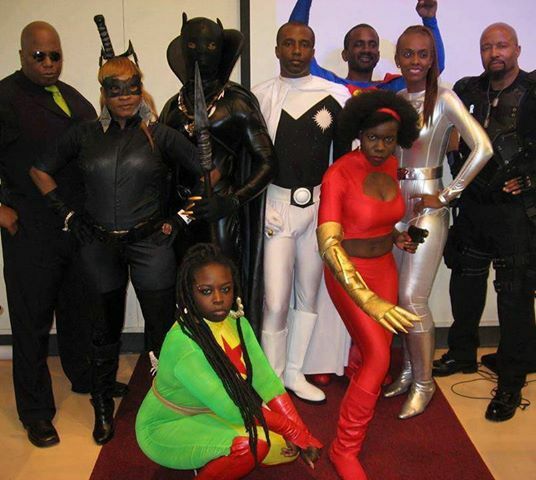 In my last post, I provided a listing of popular fandom events with a major Black presence. I now offer you We’re Here, part II. As I have said before, I do not believe in coincidence; I know this post is right on time and much needed. The lack of knowledge of the existence of great Black writers of speculative fiction by the narrator of that video – and, more importantly, by many, if not most, people of Afrikan descent – proves that. As it is our responsibility as authors and publishers to make ourselves known, I would like to introduce you to just a few of the people who – at present – are on the cutting edge of creating works that attract fans from throughout the geekosphere and who are regular guests of honor, vendors and panelists at fan conventions, festivals and symposiums around the globe, or regular bloggers on all things Black and Nerdy. Here is my list. There are many more great Black authors and filmmakers out there. Please, feel free to suggest others. Born in Elizabeth, Pennsylvania, near Pittsburgh, in 1946, but living in Canada since 1969, this brilliant African American author and journalist has, during his long career, written everything from novels to screenplays and radio plays to magazine articles on boxing. Charles is also the founder and father of Sword & Soul – African-inspired epic and heroic fantasy. Ah, the blissful ignorance of youth. Of course, by the time I discovered Charles – who is now at the top of the list of my favorite authors – he had already published his first Imaro story over a decade earlier and had released the first Sword & Soul novel, Imaro, six years before that Dragon Magazine article. In addition to the mega-popular Imaro series of books, Charles is also the author of the Dossouye series of novels about the adventures of the titular woman-warrior and Damballa – a pulp novel about a scientist / shaman / warrior who fights against Nazis in 1930s Harlem. His short story, “Mtimu”, can be read in the anthology Black Pulp and Book 1 in his long awaited Epic Fantasy series, Abengoni released October, 2014. 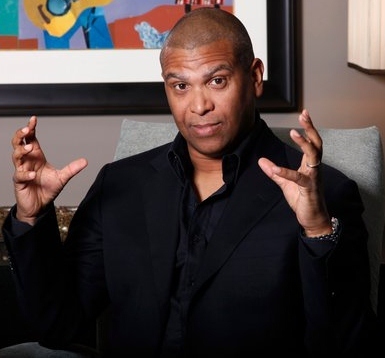 A pioneer of the modern black film movement, creating such successful and influential movies as House Party, Boomerang and the animated Bebe’s Kids, Reginald Hudlin is unique in the entertainment business because of his success as a writer, producer, director and executive. Hudlin is also the executive producer and writer of the Black Panther animated series and was executive producer of The Boondocks. Hudlin received an Oscar nomination as Producer on the blockbuster film, Django Unchained, which also won two Golden Globes, two NAACP Image Awards and is writer / director Quentin Tarantino’s most profitable film and one of most successful westerns ever made. In addition to his success in films and animation, Hudlin has found much success on the “small screen” as an executive producer of the 2013 NAACP Image Awards, which aired on NBC. The broadcast got the highest ratings for the show since 2009. Other works in television include his directing the pilot of the hit series Everybody Hates Chris and his work as producer and director of The Bernie Mac Show. Hudlin has also directed episodes of Modern Family, The Office, The Middle, and Psych. During his tenure as the first President of Entertainment for Black Entertainment Television, Hudlin created some of the most successful shows in the history of the network including the award-winning reality show, Keyshia Cole: The Way It Is; American Gangster; and Sunday Best. He created the BET Hip Hop Awards and the BET Honors. Reginald is also one of the most successful Black writers in the field of comics, writing award winning runs of Spider Man and Black Panther for Marvel Comics. He adapted Quentin Tarantino’s original screenplay for Django Unchained into a six issue limited series for DC/Vertigo Comics and co-authored the intelligent, witty and moving graphic novel Birth of a Nation. A self described “chemist by day and writer by night”, Milton has proven to be that and so much more. A friend, writing partner, filmmaking partner and jegna (“mentor”) of mine, Milton has been a strong influence on my work. Together, Milton and I produced the successful Mahogany Masquerade: An evening of Steamfunk and Film, the Black Science Fiction and Fantasy Youth Symposium and the Black Science Fiction Film Festival, now both annual events. He is the author of two Sword & Soul series, Changa’s Safari and Meji (Books I & II) and he, together with the Father and Founder of Sword & Soul, Fantasy fiction pioneer, Charles R. Saunders, is the Co-Editor of Griots: A Sword and Soul Anthology and Griots: Sisters of the Spear – definitive works of Sword & Soul, each featuring stories from fourteen different Black writers. Milton published these masterpiece through his multimedia company, MVmedia, a micro-publisher and film production company dedicated to bringing diversity to the science-fiction and fantasy fields. Milton is also Co-Editor, with Balogun Ojetade, of the Sword and Soul anthology Ki-Khanga –which is an introduction to the world in which the table-top role-playing game of the same name they created is set – and the wildly popular Steamfunk!, an anthology featuring twelve masterfully crafted stories of Steampunk, told from an African / African-American perspective. Milton is also publisher of Balogun’s Sword and Soul novel, Once Upon A Time In Afrika, the co-creator of the graphic novel, The Blood Seekers, with artist Kristopher Mosby and is also author of the popular Sword and Soul novel, Woman of the Woods and the Urban Fantasy Middle Grade novel, Amber and the Hidden City. Milton is also co-producer and executive producer of the Steamfunk short film, Rite of Passage: Initiation and co-producer and executive producer of the Steamfunk feature film, Rite of Passage. 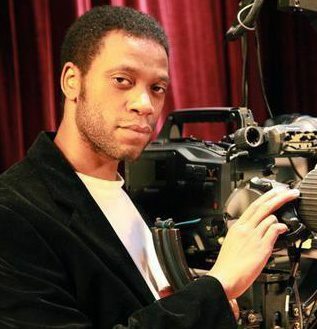 Balogun is the author of the bestselling The Afrikan Warriors’ Bible and Afrikan Martial Arts: Discovering the Warrior Within and screenwriter / producer / director of the films, A Single Link, Rite of Passage: Initiation and Rite of Passage: The Dentist of Westminster. 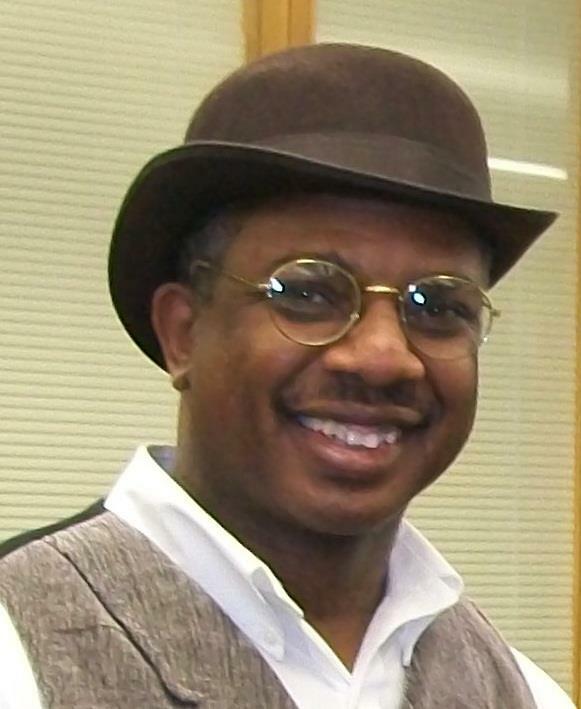 He is author of eight novels – the Steamfunk bestseller, MOSES: The Chronicles of Harriet Tubman (Books 1 & 2); the Urban Fantasy saga, Redeemer: The Cross Chronicles; the Sword & Soul epic, Once Upon A Time In Afrika, three Urban Fantasy / New Pulp novellas – A Single Link, Wrath of the Siafu (A Single Link 2) and Fist of Afrika, the two-fisted Dieselfunk tale, The Scythe and the “Choose-Your-Own-Destiny”-style Young Adult novel, The Keys. Balogun is also contributing co-editor of two anthologies: Ki: Khanga: The Anthology and Steamfunk. You can reach him on Facebook, on Twitter and on Tumblr and you can find his books on Amazon and on his Roaring Lions Productions website. Dynamic Duo…Wonder Twins…Mr. and Mrs. Smith…these descriptors do not begin to describe this epitome of the definition of “power couple”. The First Family of Speculative Fiction, these authors and filmmakers are movements by themselves and forces of nature together. Steven Barnes has written several episodes of The Outer Limits and Baywatch. He also wrote the episode “Brief Candle” for Stargate SG-1 and the “The Sum of Its Parts” an episode of Andromeda. Barnes’ first published piece of fiction, the 1979 novelette The Locusts, was written with Larry Niven, and was a Hugo Award nominee. Barnes has gone on to author nearly thirty great novels, including the speculative fiction novels, Street Lethal, Lion’s Blood, Zulu Heart and with Tananarive Due, the Tennyson Hardwick mystery novel series. The first person of African descent to find success as an author of horror fiction, Tananarive Due is an icon, a living legend and immensely popular worldwide. Beginning with the scary-as-hell, The Between, in 1995, Due followed up with the equally frightening The Good House, a book that gave my wife nightmares every night she perused its pages and still gives her goose-bumps whenever the book is mentioned. After that came Joplin’s Ghost, and then the African Immortals series – my favorite – then, the Tennyson Hardwick mystery series with her husband, Steven Barnes in partnership with the actor, Blair Underwood. Recently, Steven Barnes and Tananarive Due have teamed up to create the “zombie” YA novel series, which includes Devil’s Wake and Domino Falls. This series inspired the horror short film, Danger Word, which Barnes and Due wrote and produced. R.L. wrote, produced and directed his first short film at the age of seventeen. He has since gone on to involvement in over fifty short and feature films in many capacities including writing, directing, fight choreography, cinematography, post production work, and editing. In 2006, R.L. wrote, directed, produced and choreographed the fan film Black Panther: Blood Ties, a film I, my wife and several of my students had the pleasure of acting and performing stunts in. In 2007 R.L. brought us Champion Road, a popular martial arts / fantasy feature film he wrote, directed, choreographed and produced and in 2008, took on the same roles for its sequel, Champion Road: Arena. Full disclosure: I play the heroic hermit / martial arts master, Soleem, in both films. In 2012, R.L. began choreographing the fight scenes for his feature film entitled Call Me King, which stars international superstar Bai Ling (Red Corner). Call Me King is scheduled to be released September 4, 2015. Recently, R.L. acquired the film rights to the Street Team brand of indie graphic novels, which feature street-level (think Wolverine and Batman) superheroes of African descent. 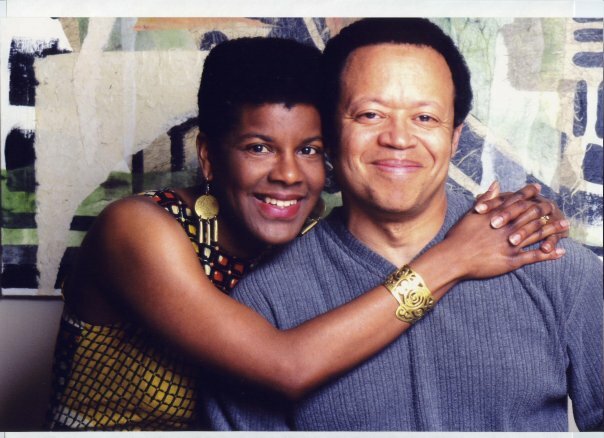 Valjeanne Jeffers is a graduate of Spelman College and North Carolina Central University and a member of the Carolina African American Writer’s Collective. Valjeanne is the author of the SF/fantasy books: Immortal, Immortal II: The Time of Legend, Immortal III: Stealer of Souls, the Steamfunk novels: Immortal IV: Collision of Worlds, The Switch II: Clockwork (includes books 1 and 2) and Mona Livelong: Paranormal Detective and the science fiction novel, Colony: Ascension. Valjeanne’s fiction has appeared in Steamfunk!, Genesis: An Anthology of Black Science Fiction, Griots: A Sword and Soul Anthology, LuneWing, PurpleMag, Genesis Science Fiction Magazine, Pembroke Magazine, Possibilities, 31 Days of Steamy Mocha, and Griots: Sisters of the Spear. She has been published under both Valjeanne Jeffers and Valjeanne Jeffers-Thompson. Her writing has appeared in: The Obamas: Portrait of America’s New First Family, from the Editors of Essence, The Ringing Ear: Black Poets Lean South, Pembroke Magazine, Revelry, Drumvoices Revue 20th Anniversary, and Liberated Muse: How I Freed My Soul Vol. I. She was also semi-finalist for the 2007 Rita Dove Poetry Award. She works as editor and co-owner of Q & V Affordable editing. 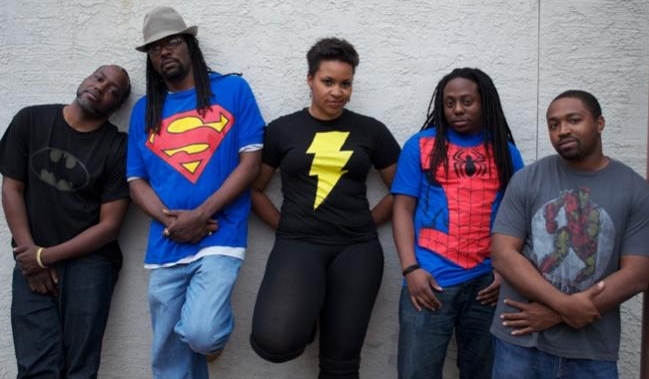 Black Tribbles is a radio show about geek culture and media in which five people of African American descent engage in thought-provoking conversation and provide critical insight into a culture that is often devoid of a Black influence. The show is witty, irreverent and informative, simultaneously entertaining as it educates. Every Thursday night, the Tribbles – Jason “Spider Tribble” Richardson; producer, Len “Bat Tribble Webb; co-producer, Kennedy “Storm Tribble” Allen; Erik “Master Tribble” Darden; and Randy “Super Tribble” Green – gather in the radio studio to banter about the nerdy things that excite them, from comic books and fantasy movies to science, history and ancient mythology. Recently, they hosted a special show – Octavia City – in which original tales of afrofuturism from some of science fiction and fantasy’s upcoming and brightest stars were performed live. Of course, this list could be expanded to include many more Black men and women who are doing great things in speculative fiction and film. If you would like more authors and filmmakers featured, please, let me know and I will be glad to introduce you to others. Until then, happy reading and watching! Posted by Balogun on August 18, 2015 in Adventure, Afrofuturism, Dark Fantasy, Dieselpunk, Fantasy, Film, Horror, Science Fiction, Short Story, Speculative Fiction, Steamfunk, Steampunk, Supernatural, Thriller and tagged black speculative fiction, fandom, steamfunk, sword and soul. I’d say we have a critical mass of black science fiction/fantasy fans and creators. For the so-called BlackAuth0rity to claim that black writers lack the capacity and intellect to create works in these genres is inexcusably, insufferably, astoundingly, horribly, bitingly ignorant! This man needs serious enlightenment on this issue. I read the words quoted from the video and about fell off my chair. “Racism is dead?” I think not! Thank you for your reasoned response to idiocy and sharing these great authors, producers and radio show hosts — knowledge is power and you’re powerful. Keep up the great work and thank you! Not only are the ideals of white supremacy that we call racism not dead, their insidious tentacles of self-hate that stream into the psyche of Diasporic peoples are firmly rooted. This was commentary done by a “Black” dude. If anyone’s looking for a great place to find new authors, especially in the fantasy genre and the steampunk (steamfunk) genres, look through this entire blog. but this article especially is good about telling people that Black writers of fantasy, sci fi, and steampunk are out there. And now I need to plan on getting a bigger book shelf as I look through more books. Great post. Thanks for sharing this! Thanks, for your feedback, J.W.! What an illustrious group of African American creators! And I’m so, so proud to be included among them. Thank you Brother Balogun!